IQ Glass are lucky enough to work with some of the leading architects in the UK on projects from the small to the grand. As the UK’s leading architectural glazier IQ are usually the first point of call for many clients wishing to create a highly glazed, minimal framed design. After IQ have talked through the clients wishes, given them some design ideas and answered any questions the next question we will ask is: have you spoken to an architect? An architect will be able to detail and plan many elements of your work that you may not even have thought off – drainage, overshadowing, and utility rerouting. Also, when applying for planning permission, projects are much more likely to gain planning permission if applied for by an architect. Many clients will look to cut the costs of their project by attempting to by-pass an architect but the design fees are not just an additional cost; they are an investment. Time after time IQ get involved in projects removing and replacing old and ill-conceived conservatories or extensions. An architect will be able to help you make the most of the space you have available, be able to advise you on the best use of light and space and also help you get the most of your budget. It is the ultimate lesson in the value of well thought design versus the false economy of a quick fix. 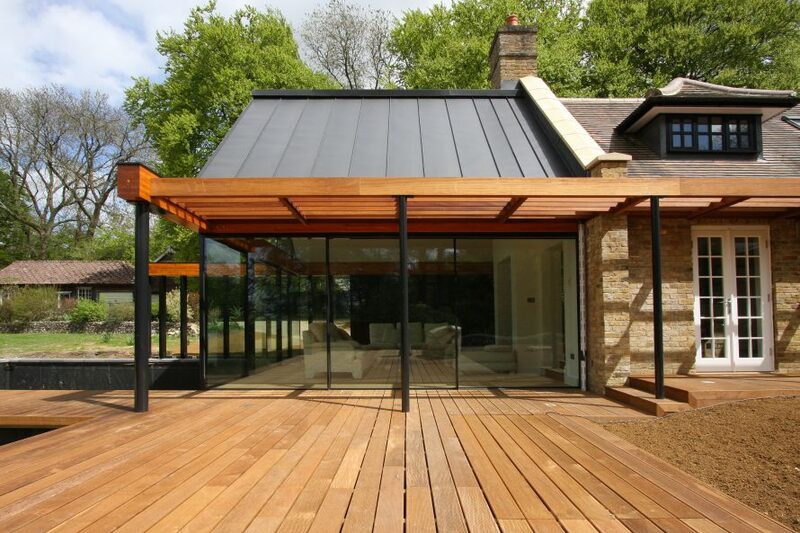 Contact IQ Glass UK if you are looking to create a highly glazed addition or renovation to your project and we will be happy to put you in touch with one of the many highly skilled and personable architects we have worked with in the past. Want an Extension? What Glazing is Right for You?